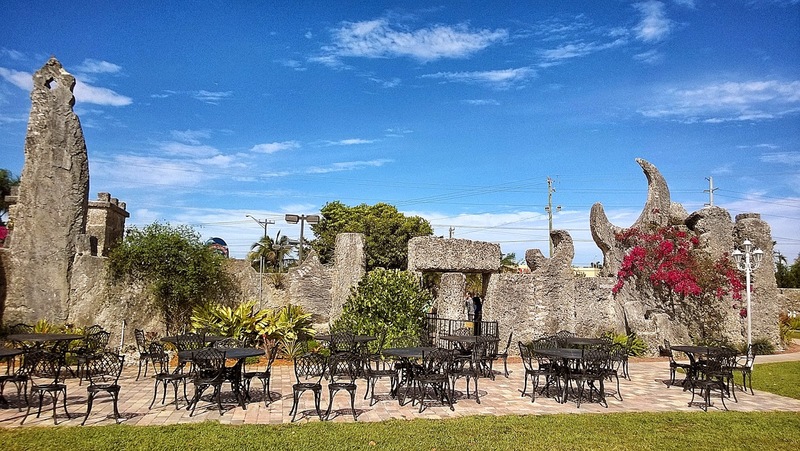 When Laura and I were talking about what to visit when we were down in South Florida she suggested we stop in Homestead, FL and visit the Coral Castle. My initial reaction was "visit the what now?" 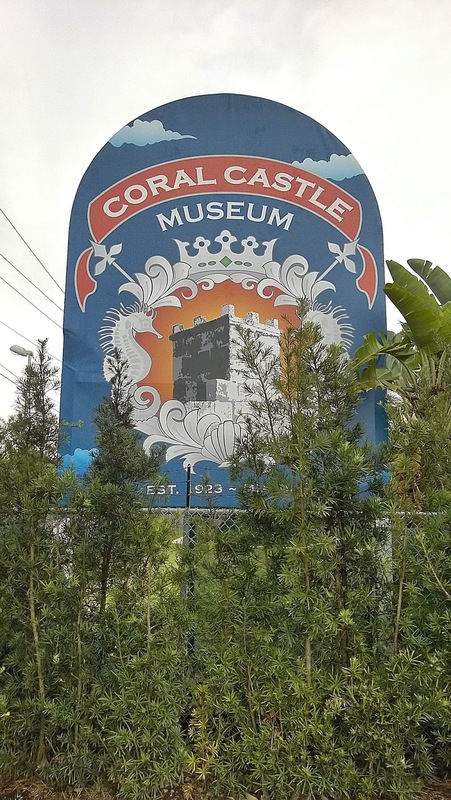 At the time I should have known but this castle made of coral had a Latvian connection. 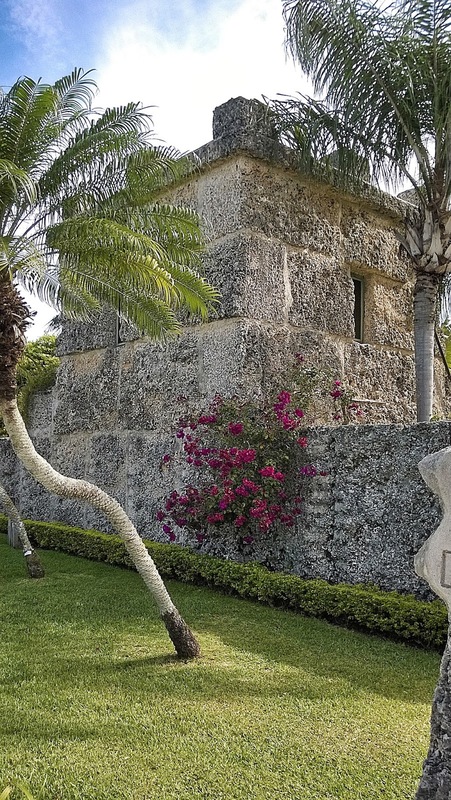 It turns out the Coral Castle was built by one man, Edward Leedskalnin, over the course of two decades. He fell in love in Latvia but was left at the altar. 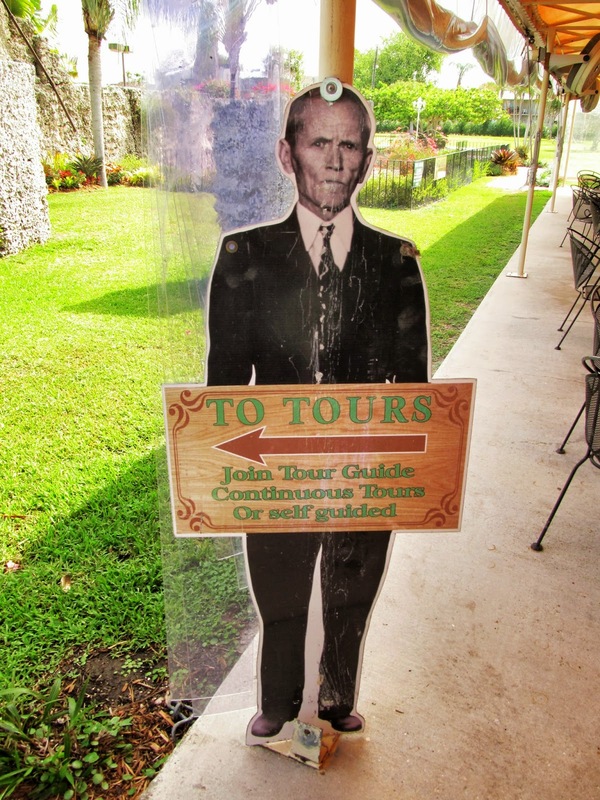 Edward left Latvia for America and worked in the lumber industry before eventually buying land in Florida in 1919. 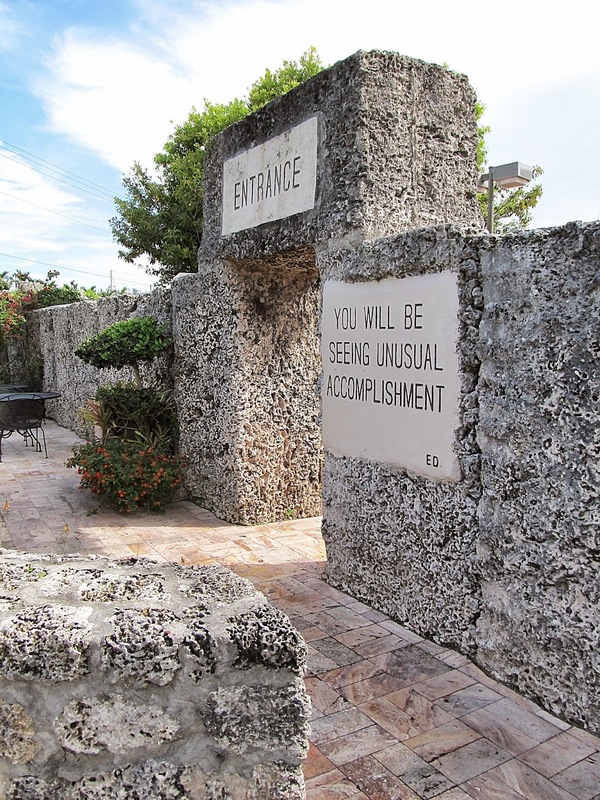 Over the next several years he began carving huge sections of coral that would slowly turn into a castle constructed in the honor of his lost Latvian love. Admission to the castle was a dime initially and today it's $15. If you dig deep enough under the soil in South Florida and you will find coral.. We were told during our tour that the area around Homestead has never been able to be used for farming because of the coral base of the land. Here is the view from one side of the castle to the other. 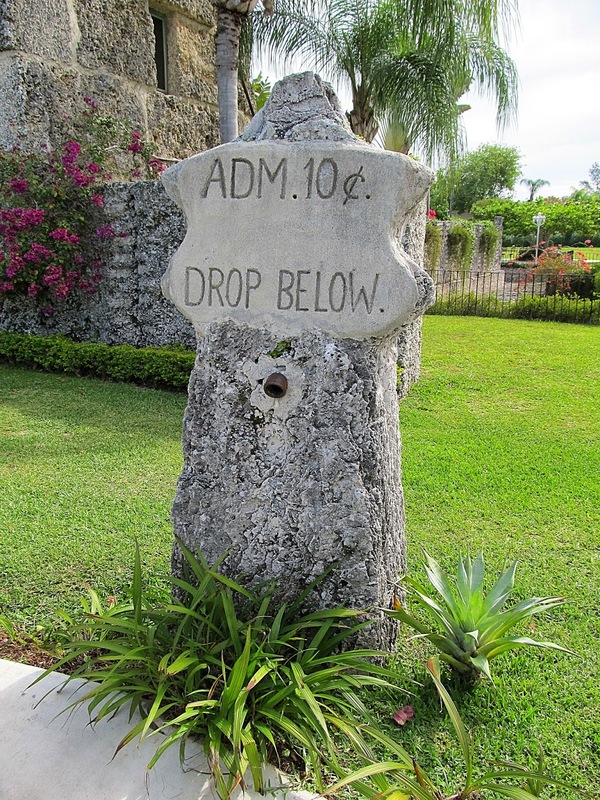 The middle is filled with many monuments and even some tables and thrones carved out of coral. There are many astrological symbols as well. 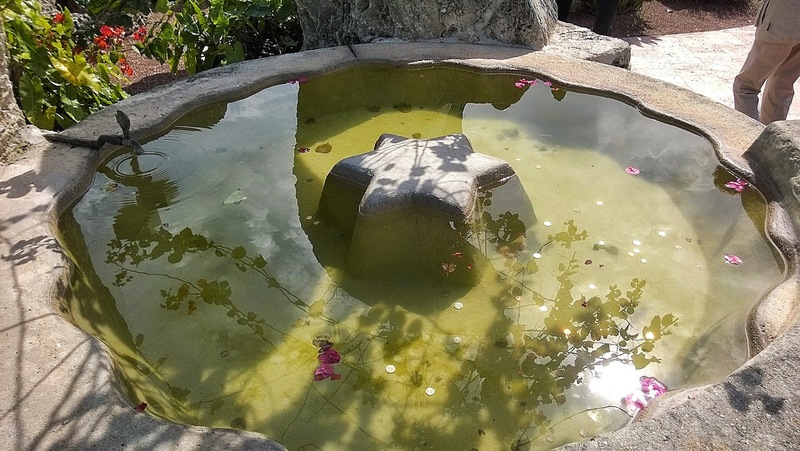 A fountain with the Latvian auseklis symbol in the middle. I know Laura, being fluent in Latvian, wanted to take control of the tour anytime our guide would say something about Latvian culture and sometimes incorrectly. 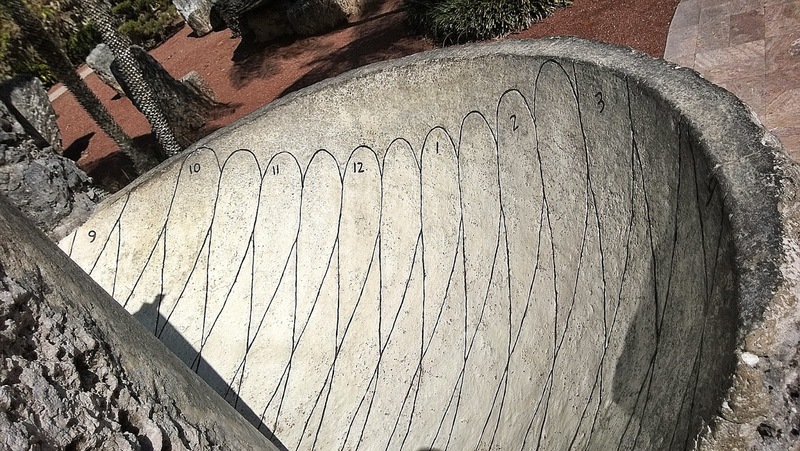 One of the more interesting pieces was a sun dial. And here's a view from outside the Castle at the back wall. You'll notice there is a door in the middle of the wall and that vertical piece was listed as weighing nine tons. 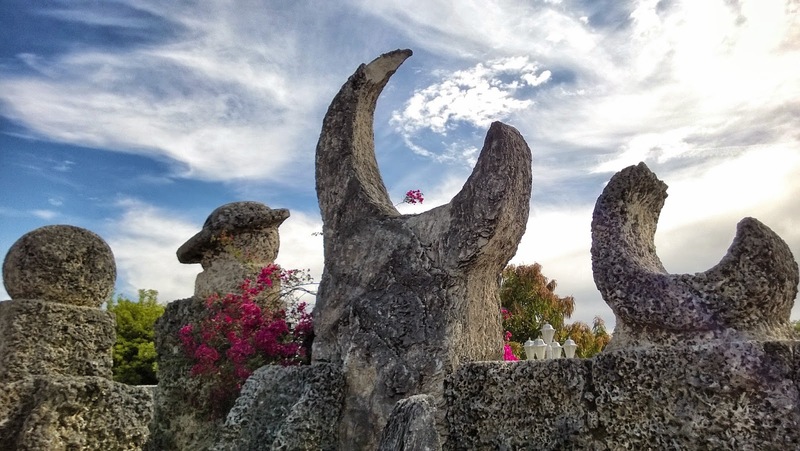 You might wonder how a single man could maneuver such large pieces of coral into place and I can't finish a post on the Coral Castle without noting some of the mystery surrounding it. It's said that as Leedskalnin built it he would do so late at night and people rarely saw pieces moved into place. Remember this was in the 1920's and 30's and so large moving equipment simply didn't exist yet and whenever he would be asked to show his construction methods he would decline and say that he knew the secrets of construction that the people who built the Pyramids knew. 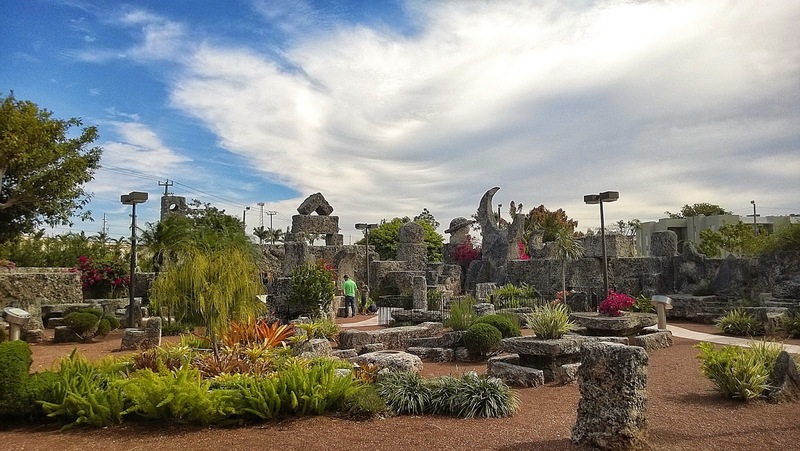 That along with his thoughts on magnetism create a scenario in which The Coral Castle has become a destination for fans of the creepy and mystical.